I'm so excited to another packing series for my next cruise. This time i'm packing light! 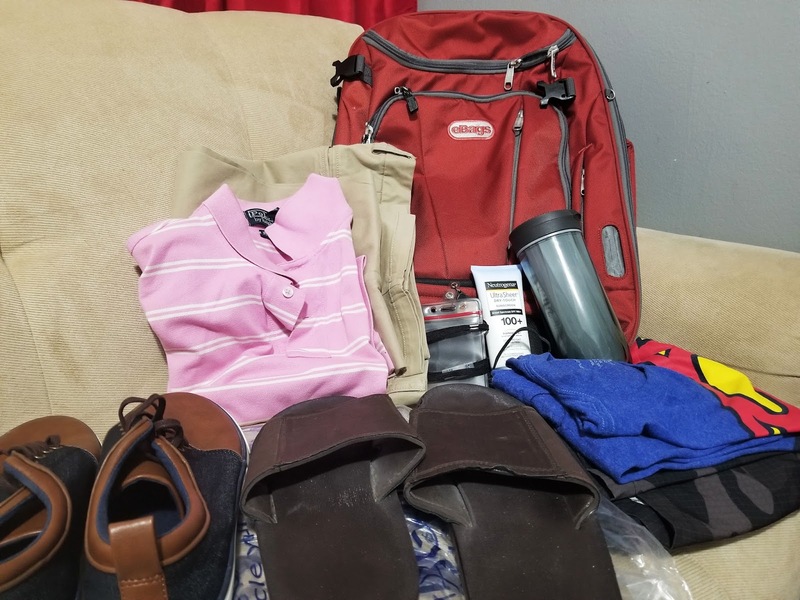 I'm also packing for both me and my husband so this is a great option for my couples that like to travel. Check it out! I like to make sure that I have everything I need in my carry-on bag that I'll either need for travel and also on the first day of the cruise...just in case my luggage doesn't arrive. Beach Bag - I'm using my carry on luggage as a double for my beach bag. It's a nice size tote with a zipper that I'll dump out and also use to carry my towel, sunscreen and other beach necessities. Chargers - For phones, camera, etc. Umbrella - Just in case! Selfie Stick and Tripod - For documenting my trip! Kindle - Or other reading material, I prefer the paper white Kindle so I can read it in the Sun. 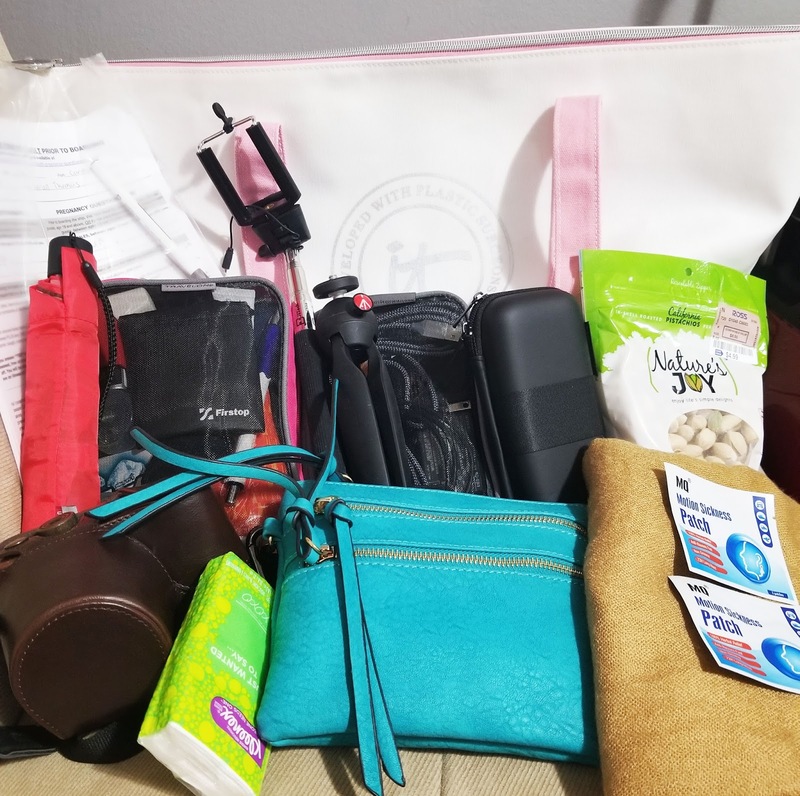 Travel Necessities - I keep a travel mini packing cube with my travel essentials including, eye mask, ear plugs, socks, disposable tooth brush, tissues, earbuds...items I like to have with me on a flight or long car ride. Shawl/Pashmina - To keep with you on a cold plane or car ride and to use as a wrap for dinner in the cool dining rooms. Camera - To document all your adventures! Travel Documents - This includes the forms that Carnival requires you print out and fill out at Embarquement. Bottle of wine 750ml or less for each adult passenger. You can also carry up to a 12 pack of a canned drink like soda per passenger. Water bottles are not allowed. Makeup and Brushes - There's nothing worse than packing your makeup in your check in and it getting all crushed, better have it in your carry on instead. Insulated Cups - So you can carry your own beverage on the ships, some bartenders will even fill your own cup for you. Sunscreen to apply as soon as you hit the pool! Stay tuned for the next video to see what i'm packing in our check-in!